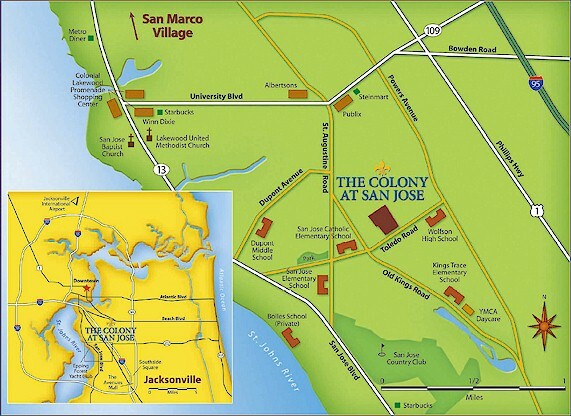 The Colony at San Jose condominiums in Jacksonville, Florida. The Colony at San Jose is a condominium conversion project located in prestigious San Jose within minutes from downtown and the beaches. An in-town escape from town, where a selection of condominium and townhome designs are detailed in elegant, all-new appointments. A place with an abundance of amenities offering a totally unique lifestyle. Come home to The Colony at San Jose and love where you live. See area map here. Enter an enclave on 21 lush acres, highlighted by beautiful fountains and tropical landscaping. Join your friends on the spacious sundeck of a relaxing outdoor pool. Or come inside to a 65' heated indoor pool and entertainment area. Socialize at the barbecue and lounge areas at both pools. Enhance your health and well-being in the all-new state-of-the-art fitness center. Gather with neighbors and family at an all new clubhouse. Challenge new friends to a pickup game of basketball or beach volleyball, while the children enjoy a playground of their own. Come live, come play, come home to all this at The Colony at San Jose. 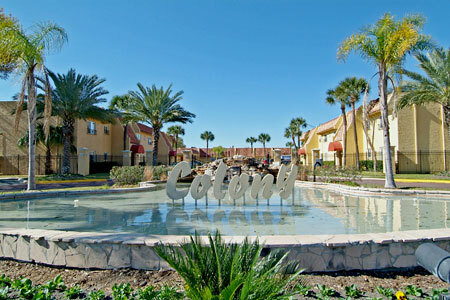 This exciting condominium community offers affordable collection of five spacious 1, 2 and 3 bedroom condominium homes ranging in size from 845 to 1,245 square feet. Choose from: Santa Cruz, Santa Fe, Santa Monica, Santa Rosa and San Souci. Prices for condominiums starting from $90's-$150's. Townhome prices from the $120's-$130's.